Commentary is a very subjective thing; people love certain commentators while others loathe certain commentators. The first time I ever heard Todd Grisham call a fight, was at UFC Fight Night Lewis VS Browne. Everything we saw, he intensified. He added excitement and drama to every strike thrown. I can still vividly hear “Get outta there Travis !” & “The black beast roars again !” his commentary made the event one of the most memorable of the year, This wasn’t the only huge event Todd had the pleasure of calling. 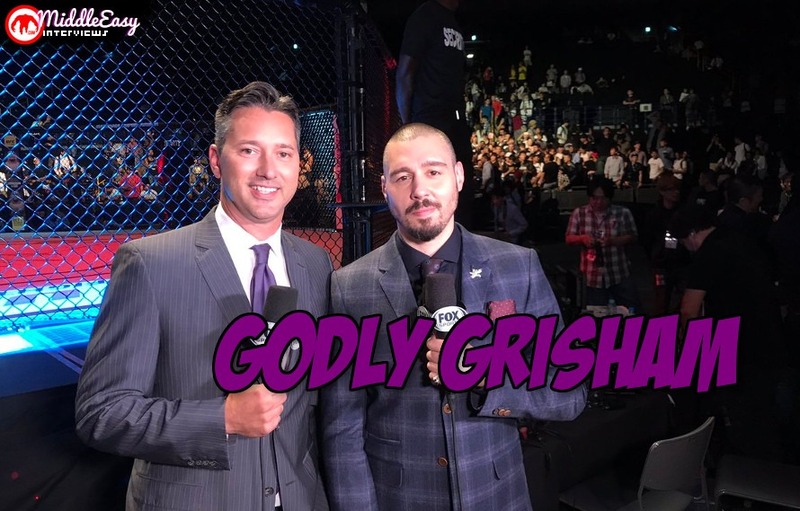 Grisham also called Johnson VS. Gaethje the ‘slugfest of the year’, here he managed to bring his dazzling charm and enthusiasm to the broadcast; it’s this charm that has cemented him in the hearts of many MMA fans. But, Who is the man behind the mic ? I set out to answer this question; take a look at the results below. As a fan of the sport, what’s your favorite MMA moment, perhaps a particular fight that stands out? Well as a fan, going to my first UFC show comes to mind…. UFC 14 in Birmingham Alabama in 1997! Mark Coleman vs Maurice Smith was the main event. I was hooked. As for as my favourite moment while working, It would have to be the Johnson-Gaethje fight earlier this year. Just an incredible fight. Honoured to have called It. If you had to choose between MMA, Kickboxing or WWE what sport would you pick as your favorite? Well all three are fantastic in their own way but pound for pound I would choose Glory Kickboxing. OH. MY. GOODNESS. Knockout of the year!? @GrishamMMA thinks so! What a knockout by Kiatmookao to kick off #GLORYRedemption! DON'T MISS THE REST! If you were going to a deserted island, what luxury item would you take? What type of music are you into; favorite artist? I love 90’s rock. In fact, I play in a 90’s cover band called “Todd and the Apologies”. As for the name of the band, it’s the rest of the band apologizing for my poor singing and guitar play. As a commentator, what happens if you get hungry/need the bathroom during the 7 hour broadcast? I’ve found that if you don’t flush, wipe or wash your hands you can get in and out of the bathroom pretty quickly. Who’s your favorite fighter in MMA/Kickboxing/Wrestling? When you worked for the WWE what was Vince McMahon like behind the scenes? He was like an evil genius. Out of 10 ideas he would have, 9 would be amazing while the 10th could very well destroy the planet. Will you be appearing more often in UFC broadcasts ? When they call and I’m available…. I’m there! Do you play any video games or watch any TV Shows ? If you weren’t a commentator where do you think you’d be?